Nice one - the only things that I can spot that have changed is obviously, St Andrew House now re-clad and the old NAAFI building is gone and the GRCH/Galleries is now in its place. Any others I have missed? 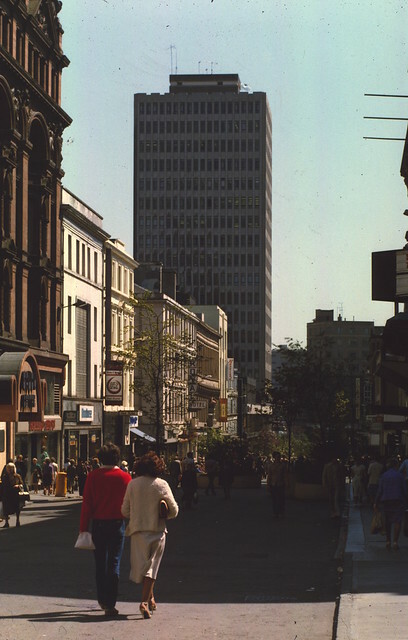 The Royal Hotel building in the 1968 photo, on the corner with Hope Street, has either been re-clad with blonde brick, or is a new-build to the same dimensions as the old building. It couldn't be that it's just been sandblasted clean? Rucola wrote: It couldn't be that it's just been sandblasted clean? 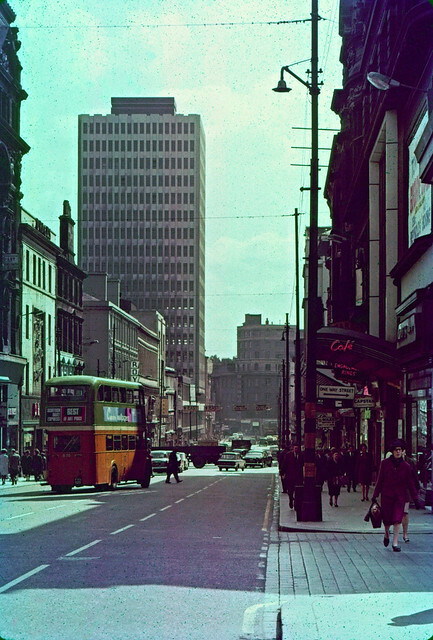 In the 1968 pic what building and street is that in the background? Is it Buchanan St? I've forgotten what used to be where The Galleries are now. Bridie wrote: In the 1968 pic what building and street is that in the background? I can't quite get my bearings, but I think it's this building here, and that would be Parliamentary Road which continued on after Sauchiehall Street? Funny how that road just disappeared. That is indeed the old NAAFI building in the distance, which was the Chevalier casino by the time of this photo. Thanks Neil - great pics.